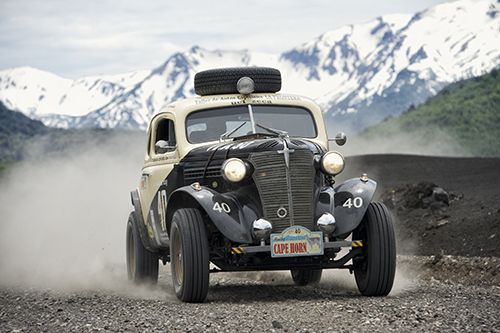 takes overall victory in 2013 Vintage Cape Horn Rally! We think race cars are cool. We think attention to detail is cool. We think designing, building, and running our own parts is cool. If you do too, then congratulations on finding our little corner of the Web. We invite you to look at what we do and to check back often as our projects and products are machined, brazed, and bolted in to the various pages of this site. Copyright © 2010 T-Zero Racing Inc. All rights reserved.